It's important to understand your options for retirement savings. Taking advantage of your employer's retirement savings plan is a way to begin building your nest egg. Depending on where you work, you may be offered some type of pension plan or be eligible to participate in the Thrift Savings Plan. Pensions and TSPs are designed to help employees save for the future, but they differ in the way they work and the benefits they offer. The Thrift Savings Plan is a retirement plan established specifically for federal employees and members of the armed forces. A TSP is a type of defined-contribution plan that allows employees to set aside money through a payroll deduction. Depending on which federal agency you work for, your employer may also make contributions on your behalf. As of 2013, the maximum amount you can contribute to the Thrift Savings Plan is $17,500. If you're over age 50, you're allowed an additional catch-up contribution of $5,500, for a total of $23,000 a year. The maximum contribution limit is $51,000, which includes employee contributions, agency automatic contributions and employer matching contributions. Automatic contributions are 1 percent of your pay, and the employer match is capped at 4 percent. Pension plans are a type of qualified retirement plan established under the Employee Retirement Income Security Act of 1974. A pension plan can be a defined-benefit plan, which is funded solely by the employer, or a defined-contribution plan. 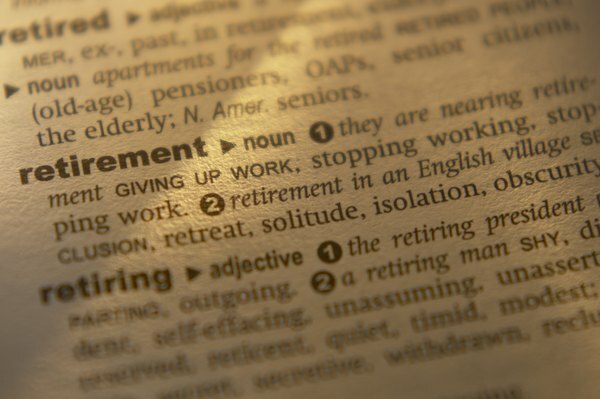 Defined-benefit plans are designed to provide workers with a specific amount of money once they reach retirement age. With a defined-contribution plan, the amount of retirement benefits you'll receive is based on your contributions and the performance of your plan's investments. As of 2013, the maximum yearly benefit allowed for a defined-benefit plan is $205,000. The limit for a defined-contribution plan such as a 401(k) or 457 plan is $17,500. The $5,500 catch-up contribution limit also applies for those over age 50. The total limit for employee and matching contributions is $51,000. Federal law says you can begin receiving pension benefits when you turn 65 or have completed at least 10 years of service with your employer. You can also withdraw your pension if you leave your employer after a certain length of time. Benefits are normally paid out in the form of a monthly annuity, although some employers may allow you to take a lump-sum distribution. If you're enrolled in the TSP, you may be able to make an in-service withdrawal while employed. This is only allowed for a financial hardship or if you're at least 59 1/2. If you're ready to retire or leave federal service, you can take your money out over time or make a full withdrawal. Depending on the type of pension plan you're enrolled in, your benefits may be partially or fully taxable. All taxable distributions are subject to your ordinary income tax rate. If you decide to take money out of a pension plan before 59 1/2, you'll also have to pay a 10 percent early withdrawal penalty. Taxes on TSP distributions usually depend on the type of contributions you made. If you put in pretax money, withdrawals will be subject to ordinary income taxes. If you contribute after-tax dollars, no additional taxes will be due on withdrawals, as long as you meet the IRS guidelines for qualified earnings.